If you have been looking for a brand new, stunning and well-engineered Apple Watch band to compliment your intelligent smartwatch, then you have come to the right place. If you missed out on the trend when it first emerged, but are desperate to still be a “hoverboard” owner, then we have you covered with a wonderful 41% discount on one. Check out these deals and pick your favorite. Let’s start off with a really good looking deal. 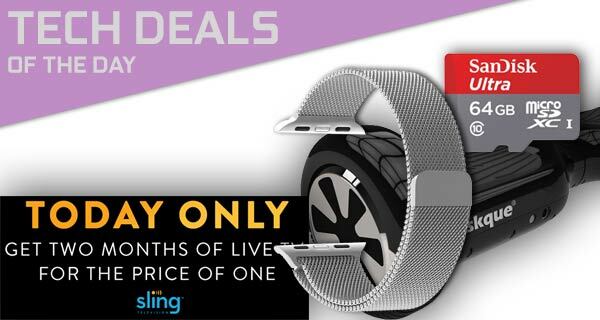 You have a chance to subscribe to Sling TV for two months, but for the price of just one month! 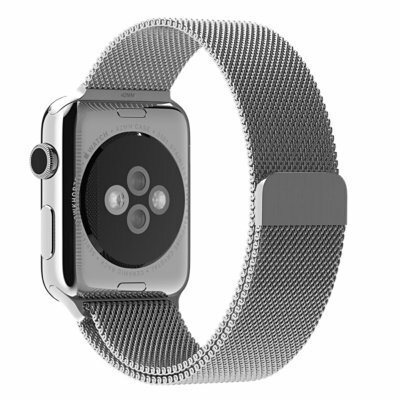 Following that, as mentioned earlier, there is a Apple Milanese Loop-like band for Apple Watch that costs just $6 compared to Apple’s $150. Moving on, there is then a 64GB microSD card thrown into the mix which can be used in smartphones, tablets or even digital cameras. 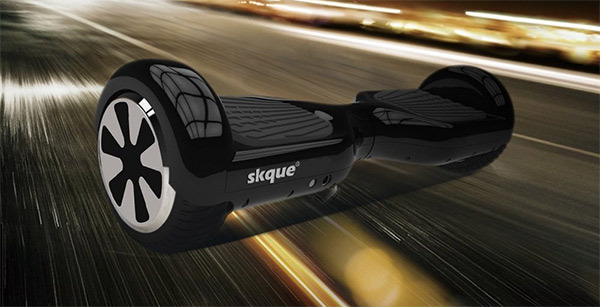 Last but not the least is a self-balancing hoverboard at almost half its original price. As always though, it’s important to note that these deals are available for a limited period of time only, or till stocks last, whichever happens first. Be quick before it gets too late. Those lucky individuals out there who happen to own an Apple Watch simply do not need to part with ridiculous amounts of money to personalize its appearance with a new band. You can walk into an Apple Store and part with hundreds of dollars, or you can grab this version with a fully magnetic closure, a stunning design, and a stainless steel build in the form a Milanese Loop. Get it for just $5.99 using the following promo code at checkout: FRAD7RE4. In this crazy modern world that we live in, we all have tons of documents, music files, videos, and photographs that we wish to keep safe be it a laptop or a phone. 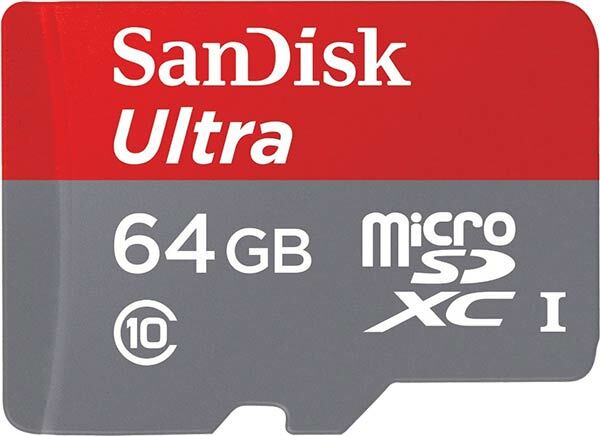 This SanDisk microSD card, complete with 64GB of storage and an adapter, can help you do that in your computer, phone, tablet and even camera for expanded storage. The wonderful Sling TV lets you stream live sports, TV shows, and movies, all for a very low price. Rather than offering a platform like Netflix, Sling is actually based around live television, with no hidden fees, long-term contracts, and it even offers instant cancellation online. It’s a cord-cutters dream service. If you like the sound of all of that, and want to watch now on a variety of different platforms and devices, then you can bag yourself two months for the price of one. These things aren’t quite as popular as they were twelve months ago, but they are still on a lot of people’s “must-have” lists. This particular self-balancing scooter comes with a smart wheel system, complete with integrated LED lights. With a UL certified battery, and the built-in LED system, you can rest assured that this particular scooter won’t combust in flames whilst you are riding along during the night.